We are social entrepreneurs who believe that doing well and doing good are not separate ideals. 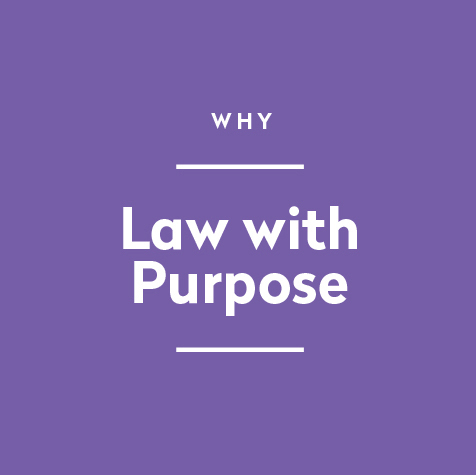 Our team shares the same values and philosophies on life, business and the community which led to the creation of Purpose Law. Geoff has extensive legal experience acting for commercial and not-for-profit clients, including private and publicly listed companies, insurers, insurance brokers, SMEs, partnerships, business owners and charities. Geoff's area of expertise is commercial law, including disputes, contract drafting and interpretation, director's duties, governance and insurance. In the not-for-profit sector, Geoff previously held the honorary positions of Chair and Board Member with The Tipping Foundation, an organisation that provides support services for people with a disability and their families. Currently, Geoff is an honorary member of the Wisdom Council for The Gomo Foundation, an organisation which provides access to education for disadvantaged children, principally in Africa.